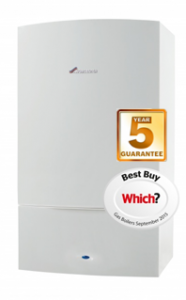 The Baxi Platinum ERP is our most requested combi boiler. 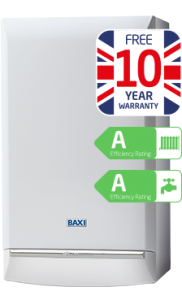 It is the latest range from Baxi and we believe it is the most reliable and energy efficient boiler on the market and it comes with a free 10 year warranty. The Baxi Duo-tec ERP is the latest and most energy efficient combi boiler by Baxi. It is incredibly reliable, an Energy Saving Trust recommended product and it comes with a free 7 year warranty. 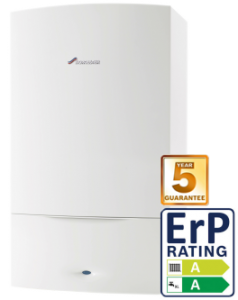 The Baxi Megaflo ERP is the perfect boiler for larger homes with more than one bathroom or a high demand for hot water. 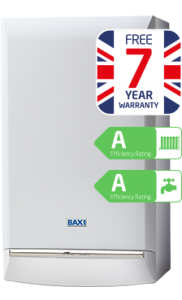 For use with vented or unvented hot water cylinders, the Baxi Megaflo also comes with a free 7 year warranty. 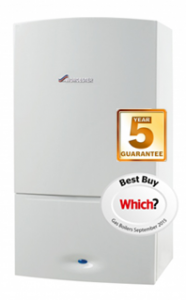 The Worcester CDi Classic ERP is Worcester’s latest Combi boiler. The CDi Classic comes in 29, 34, 38, 42 kw and are great for large houses with a demand for hot water. This Worcestershire manufactured boiler has won many “Which” awards and also comes with a free 7 year warranty. The Worcester Greenstar CDi Compact is great combi boiler for small, medium and large-sized properties with one or two bathrooms. 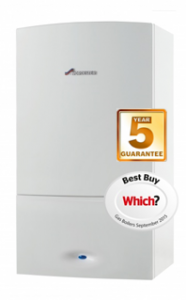 This Worcestershire manufactured boiler has won many “Which” awards and also comes with a free 5 year warranty. The Worcester Greenstar CDi Classic System is a top of the range, wall mounted system boiler that is suitable for larger homes. This boiler can be used with the Worcester range of high efficiency Greenstore cylinders allowing stored hot water to be rapidly replenished. The Worcester Greenstar I Combi Boiler is perfect for small to medium sized homes with one bathroom.